Enjoy award-winning cuisine based off of locally sourced produce on your first night there! There is much to see in Guernsey. Stroll around the island's capital St Peter Port, which retains much of the character of a traditional fishing village. See the 12th-century church and the 17th-century oldest house, now a National Trust shop, in Cornet Street. 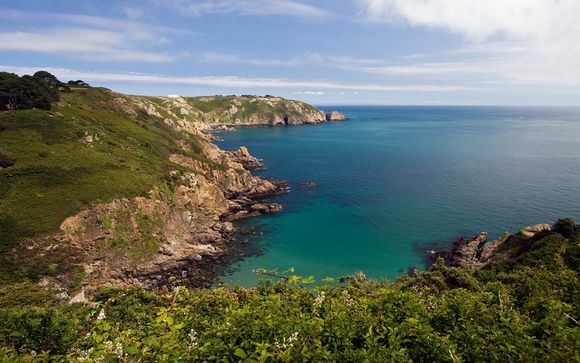 If you want to learn more about the island's history, head to the Guernsey Tapestry at the Gallery in St James Concert Hall, wander through the beautiful Candie Gardens or explore Hauteville House, home to French writer Victor Hugo. If you would rather just take it easy, explore the boutiques shopping, then sit back and relax with a coffee or bite to eat and watch the world go by. St Peter Port is a rare town in that it has retained its identity. The High Street has retained much of its charm with small boutiques and gift shops jostling for space alongside larger branded stores. St Peter Port may be small but it is perfectly formed - shopping in Guernsey offers plenty of choice if you want to treat yourself to a new wardrobe of clothes. The many of family-run businesses mean that no two shops are the same. The town really excels in the variety it offers, especially if you venture towards the outskirts. The Old Quarter is an eclectic mix of antique shops and locally made craft shops where you can find a lovingly made memento of your holiday or a treasured gift. Set in a stone-built Guernsey farmhouse, the award-winning Le Friquet Country Hotel boasts 6 acres of beautiful gardens and an outdoor swimming pool. The fabulous beaches of Cobo and Vazon Bay are just a few minutes’ drive away, and the historic harbour of St. Peter Port is within a 10-minute drive. The bedrooms each feature a modern bathroom with luxury toiletries and fluffy towels. 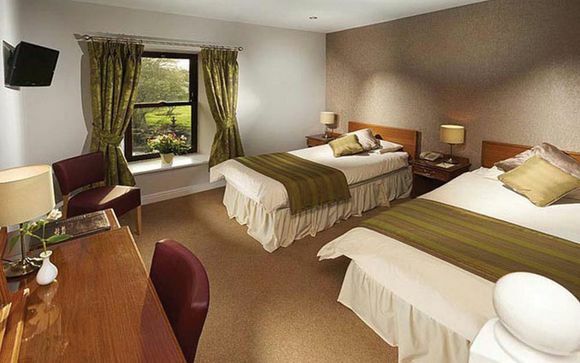 All rooms have free Wi-Fi, a TV, and tea/coffee facilities are provided. 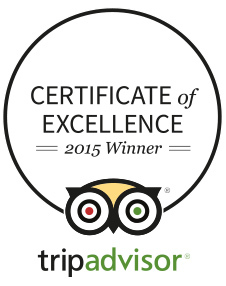 Le Friquet has a Gold Award restaurant, which serves traditional cuisine including fresh local fish. There is also a terrace overlooking the gardens, and delicious breakfasts are served daily. The tastefully decorated rooms feature a modern design that will please even the most discerning guests and large comfy beds to ensure a restful and reinvigorating stay. Rejuvenate after a day of exploration with the free tea and coffee making facilities in your room. Stay at Le Friquet Hotel, you have one of the most popular restaurants in Guernsey right on your doorstep. Islanders are passionate about their food and it's not hard to see why. Guernsey benefits from an abundance of fresh and seasonal produce, thanks to its location in the English Channel, France has always had a great influence on the small islands culinary style while its abundance of freshly caught seafood. Fresh local shellfish and fish, locally sourced dairy, cheeses and vegetables are at the heart of menus at Le Friquet's restaurant, The Lobster & Grill. All prepared by the locally born chef, Ian Carre, who has been cultivating his menus at Le Froquet for over 12 years. And when you're out and about: the capital St Peter Port has a huge choice of restaurants with an international flavour and lively pubs and bars to soak up the atmosphere. Flights: Are included, details of which can be found here. Transfers: Shared transfers are included. Your transfer time is approximately 10mins / 5km. Please note: flight details are given as a guide only and may change. We will however notify you in advance if flights are more than 2 hours outside the time range given. Flights are non-changeable and non refundable at time of booking. All flight times are local. The flight inclusive offer(s) shown on this page are ATOL Protected by the Civil Aviation Authority. Voyage Privé’s ATOL number is 10170.